From early planning advice to emergency payroll for imminent work, Link Global can help you with your work arrangements. Link Global Management can provide a full range of payroll services in Russia. The individual will be engaged on our payroll and income is paid in the form of salary, allowances and expenses, the proportion of each part depending on individual circumstances. Link Global Management deducts tax and social security at source on a PAYE basis, and payments are made to the relevant authorities on the employee's behalf. The taxable amount may be reduced by offsetting certain business expenses. There are different tax rates and bands according to earnings level and marital/family status. Link Global Management will discuss your personal circumstances with you and help you to minimise your tax and social security liabilities, within the boundaries of Russian legislation. Income is managed tax efficiently, not just in Russia but also in any other country where there may be a liability. A tax return is filed each year in Russia with advice and assistance from Link Global Management who will also provide help with filing tax returns elsewhere, if required. Residents are taxed on worldwide income. Nonresidents are taxed on Russian-source income only. Russian-source income includes, but is not limited to, income derived from work or services performed in the Russian Federation. Five flat tax rates of 9%, 13%, 15%, 30%and 35% apply to different baskets of income. A flat rate of 9% applies to dividend income received by residents. A flat rate of 15% applies to dividend income received by individuals who are not tax residents. A flat rate of 13% applies to all income for which another rate is not specified, including salary and other income earned by tax-resident individuals and earnings received by foreign individuals who qualify as Highly Qualified Specialists for immigration purposes (see Section 1) for performance of work and services in this capacity. A flat rate of 30% applies to all taxable income (other than dividend income) received by individuals who are not tax residents, except earnings of Highly Qualified Specialists. 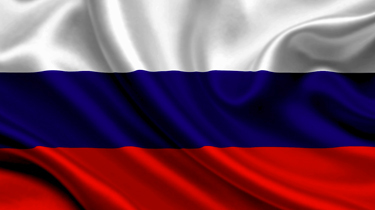 Thinking of contracting in Russia?